We were lured into buying a new car, which they get you to agree to a monthly price. They carefully don't reveal the final total price until hasty sigining session where papers are flipped over so you dont see details & you are rushed to sign quickly. They added many items we did not need or want then refused to cancel those items like $2500 extended warranty which Hyundai says you have 45 days to cancel. They also tricked us to take delivery by saying paint protect, anti-rust were done, then after we picked up, they admitted that was not done - but they still refuse to refund those uninstalled protections, and refuse to honour the salesman $300 quote for undercoating. Almost 4 months later, they still refuse to provide any copies of adjusted sales documents with details of what they did to adjust our final bill, instead telling us to get lost & try to sue them. Hyundai Canada was informed of all our complaints, but did nothing to help us resolve the issues. This is is our second & last Hyundai. product. Completely satisfied with our new car buying experience at Sherwood Hyundai. Knowledgeable sales staff, made us very comfortable and took the time to let us make up our minds. No pressure. And when we said we were going to test drive a competitor's car, they had one on the lot just so customers could drive it! Great experience. "Service staff were very good and I’m happy how they treated." “ Buyer beware “, words to live by. My experience with the service, parts and front desk was very good and for the most part no complaints. However Hyundai Canada and Sherwood Park Hyundai in my opinion care little for their customer after purchase. They will let you know several different ways that you need an oil change or schedule service but not that you’re SIX year warranty with a $5000. dollar tire package and free windshield replacement ended after Five years and the last year was a third party warranty. Get everything in writing, all promises and guarantees and keep a copy with your will. Make sure you’re not paying for something they promised, go over every dollar amount, take nothing for granted. I should have, so I take responsibility for some and this is not the whole of it. Thing is I like my car, very much but will never buy another Hyundai again. I received my car from service with a dirty steering wheel and inside door handles also door panel had dirty handprints. Mechanics should be more aware of that when servicing vehicles. I came into the Service department and had a great experience. The whole process from drop off to pick up was smooth and everyone was so friendly. Great customer service all around! Shelley at Sherwood park Hyundai is amazing! She makes you feel like friends or family. I would recommend this dealership over any we’ve purchased from. And we’ve purchased a lot of vehicles! The follow up attention and care is exemplary. From the sales floor to service dept to management, they are just great people who are very trustworthy and who take personal care of you. Left vehicle for an oil change picked it up to find a bill of over $500, they had phoned during the day with an initial cost of $2800! It took them four consultations to serve me with a final bill of $242 which I felt was somewhat reasonable, but still high with their so called miscellaneous shop charges, admin overhead, etc. They come across as nice people but constantly hustling for more money and services. All my mechanic colleagues agree you don’t need everything they hustle at those kilometres; I feel sorry for the elderly or innocent victims who are unaware and take people at their word. What happened to the honest neighbourhood mechanic who told you the truth? Now you have to pay for all the overhead, showrooms, bling, etc. Once warranty has expired they are no longer acting in my best interest, I’m going to a private, honest mechanic. 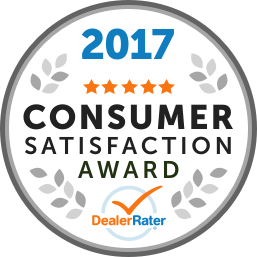 Have had a bad experience with other dealerships in the past. Everyone went above and beyond to help me purchase my 2017 Elantra. Even had patience when I couldn’t decide what to do... gave me so many great options so the decision was difficult. Was worth the short trip out of Edmonton to get such great service!! Thanks again Sherry for your patience!!! The service was on time, friendly and informative. The work done was I asked for along with information to plan future visit(s) and items to watch out for. 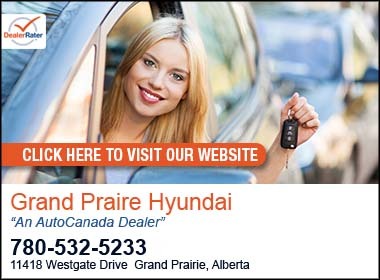 "My Experience at the Sherwood Park Hyundai"